Timothy Nally is an associate in the Sacramento office of Lewis Brisbois and a member of the Complex Business & Commercial Litigation Practice. 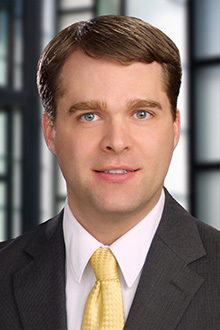 His practice focuses on general commercial litigation and he represents financial institutions and other businesses in commercial disputes and class actions in both state and federal court. Mr. Nally has represented clients in all stages of litigation, including discovery, prejudgment remedies, dispositive motions, mediation, arbitration, and trial, and involving claims for breach of contract, common law business torts, the Uniform Commercial Code, unfair, fraudulent, and deceptive business practices under section 17200, et seq., of the California Business and Professions Code, the Song-Beverly Act, the Rees-Levering Act, the Fair and Accurate Credit Transaction Act, and the Telephone Consumer Protection Act. Before joining Lewis Brisbois Bisgaard & Smith, Mr. Nally worked as a law clerk at a firm in Provo, Utah, focusing on securities litigation and common law business torts. While in law school, Mr. Nally served as a judicial extern to Hon. Ted Stewart of the United Stated District Court for the District of Utah. Mr. Nally also worked as a research assistant while attending law school. His research focused on the interaction of financial institutions with low- and moderate-income groups, including compliance with the Community Reinvestment Act and related regulations.